Master Muffler Brigham City is fully equipped to service every aspect of your vehicle. This includes engine work. 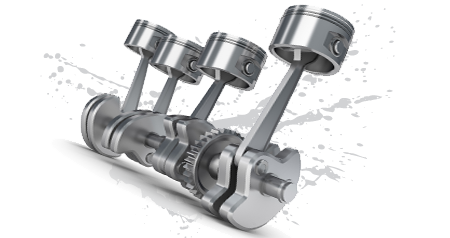 Engines are complex systems and in order to ensure that your engine issues are properly identified and fixed, it takes more than just knowledge. It takes experience. Our expert technicians have superior training and years of experience. So, if your vehicle is making a weird noise or it isn't driving like it used to, we will find the problem and we can fix it. While our experts can most certainly address your engine issues, the best way to deal with engine problems, is to deal with them before they're problems. If you bring your vehicle in for any of our regular maintenance services, then we can often spot potential problems before they develop into something more serious (and expensive). If you come in for an oil change, a tune up, or safety and emissions testing: we'll have lots of opportunities to help you take care of your vehicle. In the unfortunate event that you do need engine work or emergency service, Master Muffler Brigham City will be there for you, as Utah's premiere auto shop. We'll work hard to get your vehicle fixed as quickly as possible so you don't have to make special arrangements or live through other inconveniences while you vehicle is being repaired.